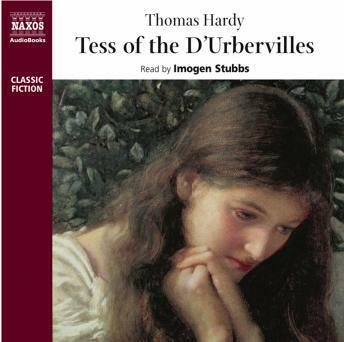 Socially critical and emotionally complex, Tess of the D'Urbervilles is Hardy's masterpiece. It tells the story of Tess Durbeyfield, forced by her family's poverty to claim kinship with the wealthy D'Urbervilles. Violated by the son Alec; her hopes of rebuilding her life with the gentle and bookish Angel Clare founder when he learns of her past. Set among the lush pastures and bleak uplands of Hardy's imagined Wessex, and filled with unforgettable images of tenderness and tragedy, the story examines conventional morality through Tess herself: one of the best-loved characters in English literature. Sensitively read by Imogen Stubbs.